Will Donald Trump administration reimpose first batch of Iran Sanctions? Sri Ramachandra Murthy August 7, 2018 17:00 IST Will Donald Trump administration reimpose first batch of Iran Sanctions? 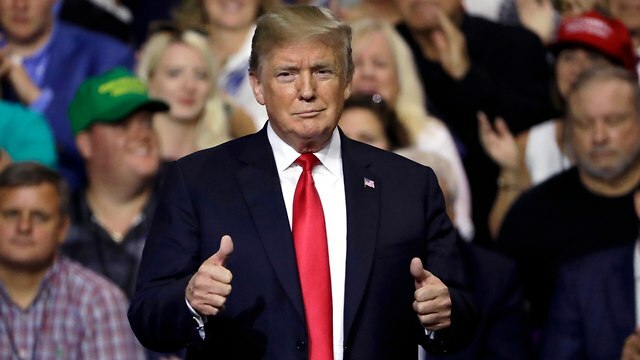 Washington sources reported that US President Donald Trump’s administration will reimpose the first batch of Iran sanctions on Monday since Washington withdrew from the 2015 nuclear deal. As per report the more significant tranche of sanctions, including on oil sales, won't however, come into force until November. Meanwhile Trump announced in May that he was withdrawing the US from the 2015 accord with Iran, Germany, France, the UK, Russia and China. Furthermore the deal, which was negotiated by his predecessor Barack Obama, lifted sanctions on Tehran in exchange for curbs on its nuclear program. Further the Trump administration gave companies doing business with Iran two "wind-down" periods. Hence Monday ends another 90 day period after which Washington can sanction transactions with US dollar banknotes; trade in gold and precious metals and direct or indirect sales of graphite, raw or semi-finished metals and Iran's automotive sector. Finally the revocation of export licenses for civil aviation, meanwhile, will hit Boeing and Airbus, which had $40 billion deals to sell aircraft to Iran Air.